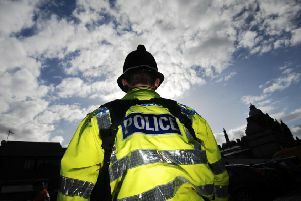 Residents have reacted with shock to the news that a woman had been murdered at her home in Burnley Wood. Police confirmed they had launched a murder investigation and were still searching for the suspected killer this morning. Specialist crime scene officers could be seen going in and out of the house in Marlborough Street this morning while a tent was erected outside the front door. Neighbours living nearby said police officers began knocking on their doors around 8pm last night. An upstairs window at the house had been smashed. Staff at Whitfords Caravan Centre, which is directly behind Marlborough Street, said police had asked to look at the business's CCTV. One neighbour, who did not wish to be named, said: "The area has really gone downhill in recent years. It used to be nice but there are some rough people living around here now. It's terrible to hear what happened. I feel very sorry for anyone affected."